I like lists, organization, and general togetherness. It feels foreign and completely uncomfortable to just go with the flow, but that is exactly what this hike is forcing me into, whether I like it or not. I’ve spent most of my adult life in laboratories; academic, research, and medical laboratories are all about organization, even when seemingly chaotic. Everything has its place, even when my lab notebook, which my entire thesis depended on, was an organization of scribbles on paper towels. So when I decided to hike the AT over a year ago, I began the research. I sifted through blogs, forums, and YouTube videos, as well as scraping every bit of info I could out of past hikers I knew. I’ve now replaced the scribbles on paper towels with scribbles on sticky notes littering every aspect of my life. I felt totally organized and therefore capable until my most recent shakedown hike. Living in the flat cornfields of Indiana, the closest challenging terrain is hours away, and with the lack of hiking trails that allow dispersed camping, a plan had to be made to get out of town and away from my three (yes, three) jobs. So, I made my escape into the hills of Kentucky to test out the gear I had carefully researched and the skills I’d yet had a chance to perfect. After driving over six hours into Red River Gorge, a well-known area for geological sites, 250-foot cliffs, and overall danger due to random drop-offs, I was ready to tackle this. Until I reached the visitors center to grab my overnight parking permit and it was closed due to repairs. No problem! I knew I could grab one at a local business, 30 minutes back out of the park. Once I had the permit in hand and waved goodbye to indoor plumbing, I drove back through the winding and curving roads to the only trailhead I had extensively researched. This trailhead featured a suspension bridge that crossed over the Red River into the miles of trails looping around the gorge and geological sites. I was all pumped to finally see these rock formations and arches in real life. Once I got my pack organized and ready to plop my first step on trail, the skies opened and it rained! No problem! Looks like I get to test out my rain gear. Within the first five minutes on the trail the bridge comes into view, and excitedly I’m already planning to set up camp in the first clearing I find, since it’s already getting dark and the rain is picking up. Until I notice a ladder on the bridge and as I get closer, signage stating the bridge is closed due to repairs. OK. I’ll admit it’s a slight problem. Nothing I can’t figure out, though. As I trudge back to the parking lot slipping in mud and studying the map I snagged with my permit, I realize that this is the only trailhead on this side of the Red River and it would take at least an hour to make it to another site. Now I’m at a loss. It’s dark, raining, I have no cell service, and I’m stranded in the middle of nowhere Kentucky. Since I grew up in a time with paper maps and using road signs to direct myself, I backtracked and found the first motel listed on the green lodging highway sign. While not ideal, since I’d have rather been sleeping in my new tent, it gave me a clean, dry place to reassess and plan the next three days of my trip. Until I turned on the local news and heard that the local authorities had been trying to recover the body of a man who had fallen from a 250 foot cliff earlier that day. 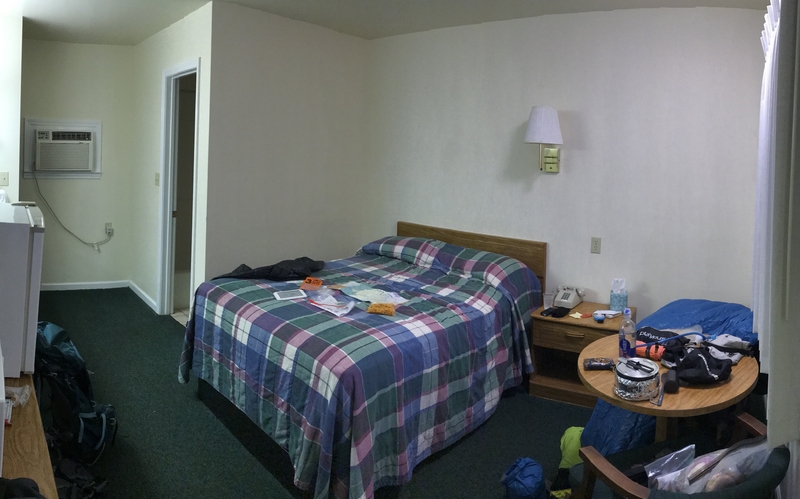 Highway green sign lodging. Also, my saving grace that night. I immediately called my best friend, who talked me down from my freak-out and is the same person who encouraged me to thru-hike the AT. I got to voice all my fears and frustrations, but in the end made a plan for a new trailhead and practiced my knot tying to release some nervous energy. The next morning was gorgeous with sun shining that made my spirits brighten after the previous day. I packed up and headed out, noticing the new trailhead was empty of cars, but I wasn’t exactly expecting it to be full on a Wednesday morning anyway. I had one goal in mind for this trip, and that was to practice using my gear and being totally comfortable with it, including hanging a bear bag, which I have never had to do before. The first attempt throwing a rock sack ended with the sack flying off the cord into thorny briars. The following attempts weren’t much better, but didn’t add to my scratched up and bleeding legs. I celebrated when I finally got the cord over and the bag up, until I tried to get it down and it was stuck. What happened next makes me extremely happy that I hadn’t seen a soul on trail, because I basically dry humped a tree using my fully extended trekking poles like chopsticks, which resulted in my bleeding, moss-covered body losing a shoe in the soft ground and breaking my sunglasses, but walking away with my bear bag. 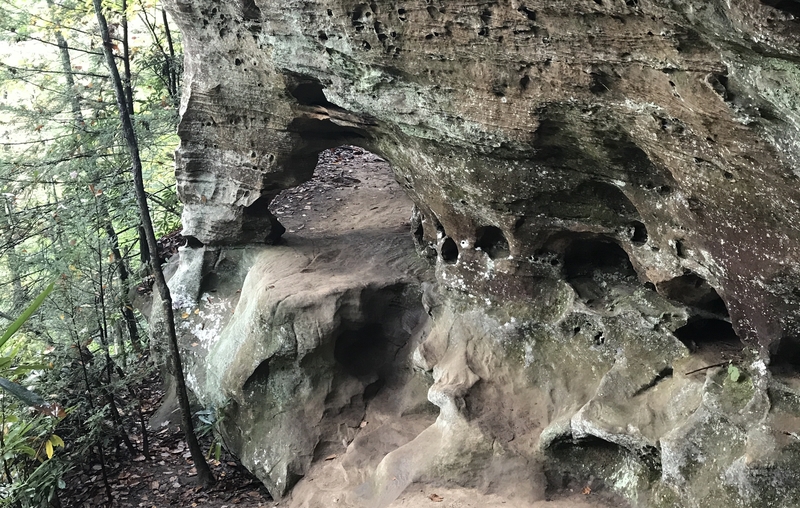 The Hidden Arch, Red River Gorge, Kentucky. After washing away the blood and packing everything back up, I continued on, successfully filtered water, took tons of photos, and had hiked over six miles still feeling fresh and energized. Until the stream crossing, when with one wrong step between rocks I twisted my knee. 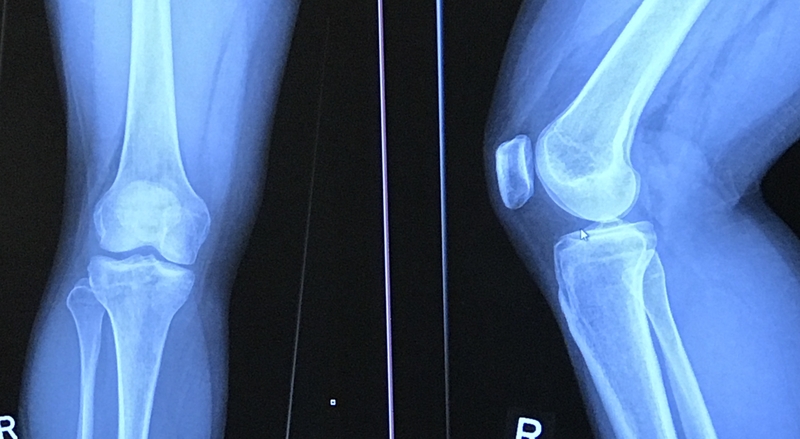 After a four-mile uphill hike, six-hour drive home, and ER visit I learned that I had minor ligament tears and a few strains, and needed crutches. Beautiful nonbroken bones, but a bit of arthritis and torn and strained ligaments. You can plan everything to a T, but in the end you have you learn to go with the damn flow. Things aren’t always going to turn out perfectly and exactly how you thought; you have to be flexible and sometimes letting go of your plan is for the best. I can look back at my Red River Gorge experience and laugh now. Then, I thought everything that went wrong, or not according to plan, was going to ruin the entire experience. That I’d never be fully prepared for my thru-hike, and end up dying or worse: bailing. What I learned is that I am able to think on my feet, in crappy situations, all on my own, and still realize when it’s time to call it quits, just hopefully now I can take a step back to chill before I’m forced off trail.